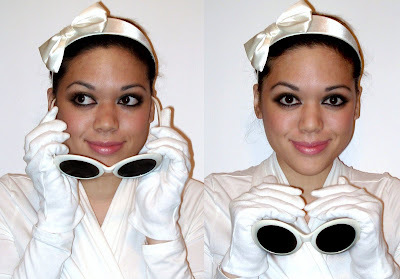 as mentioned in my last post, i have an extra pair of awesome white jackie o. sunglasses from fredflare! they don't carry them anymore, so here's your chance to own a pair. the ones i took pictures of are my personal pair, but the ones you'll receive are new in package, have never been opened/worn, and are the same exact model/color of the ones i'm wearing. they are very mod and glamorous! 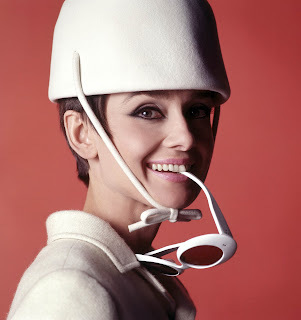 almost like the ones audrey hepburn wore in the photos for "how to steal a million"
1. be a follower and leave a comment on this post with your e-mail address. 2. additional entry: tweet about the giveaway on twitter. 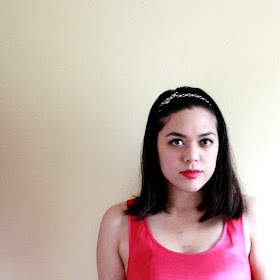 please be sure to mention my blog address (http://sweetsandhearts.blogspot.com) & twitter username (@iamericaleigh) so i can find it easily. 3. a winner will be chosen at random and notified by e-mail. Wednesday, January 27th, 2010 at 9 pm pst.